Halloween is around the corner, and my kids have been counting down the days until the festivities begin. I love creating yearly traditions of things for us to do together around the Holidays, like making a special treat. Though it might be simple, I find that we all look forward to these little things. Making memories in the kitchen with my kiddos is important to me. The good news is that you don’t have to be a seasoned chef or Pinterest Mom in order to make cooking fun for your kids. I am definitely neither of those things, and I have learned how to stick with easy and simple, and my kids love it all the same. 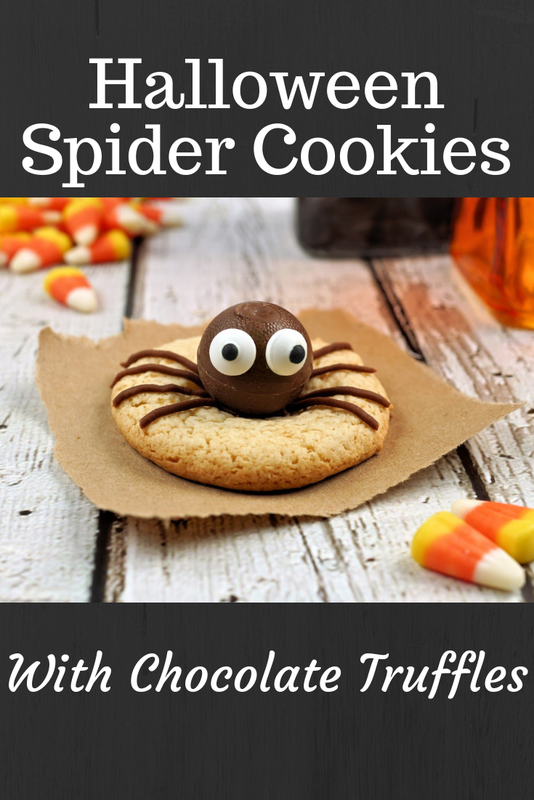 Enter these adorable, tasty, and fun Halloween treats: The Spider Cookies. Perfect for a last minute Halloween party or an easy treat that you can make together with your kids. These are a Halloween tradition in our home, and thankfully, they are a cinch to make, using minimal ingredients. The best part is your kids can join in on the fun too, creating something memorable with you that will always stand out in their minds. Take your Halloween treats up a notch with this kid-friendly cookie recipe that is guaranteed to delight your little ones and the kid in you, too. Preheat oven to 350 degrees and prepare baking sheets with parchment paper. Make peanut butter cookies: a) Combine peanut butter and softened butter with hand mixer. Once mixed, add brown sugar, egg, and vanilla, and mix until well-combined. b) In a separate bowl, add flour, baking soda, baking powder, and salt; stir until mixed thoroughly. c) Add flour mixture to peanut butter mixture and combine with hand mixer until a soft dough forms. d) Use a tablespoon to scoop out dough and form balls. Place on baking sheet and bake for about 10 minutes. Once taking the cookies out from the oven, create an indent in each cookie with the back of a teaspoon measure or spoon (this will form the cavity for the “spider”). Once cookies have cooled, use the black icing to pipe 8 lines from the center of each cookie to the outer edge to create the spider legs. Place a chocolate truffle into the cavity of each cookie. Dot a tiny amount of chocolate icing onto the back of the candy eyes and stick them to each chocolate truffle. Serve and enjoy or let it set for eating later. Options: I like making the cookie base with peanut butter, as I love how it pairs with the chocolate. But you can customize this however you want! Substitute the peanut butter cookie dough with your favorite cookie to make this your own family favorite. Short-cut Tip: Use Store-bought cookie dough to make these come together even quicker! Simply dole out premade cookie dough on your baking sheet and make a small indent in the center of the cookie with the back of a teaspoon measure as soon as they come out of the oven. That’s it! Super simple and FUN, right? My kids always get a kick out of these cute little spiders and love eating them even more. What are your favorite treats or traditions that you are enjoying this Halloween? Get Your Free Guide: "5 Healthy Habits Every Mom Wants for Her Kids (That She Needs, Too!)" Thank you! Your guide will be delivered to your inbox shortly!